Does Your Yoga Practice Make You Say “Ouch” or “Ahhh”? A new yoga student is asked what she is feeling. With a blank look, she replies: “Fine.” The teacher smiles and says, “I am glad you are feeling fine, but I asked what are you feeling, not how you are feeling. Can you tell me what you notice in this pose?” The student looks confused. She has not been trained to look within her own body, to value sensations, and to examine them. She has been trained to ignore her body, especially when discomfort or pain arises. 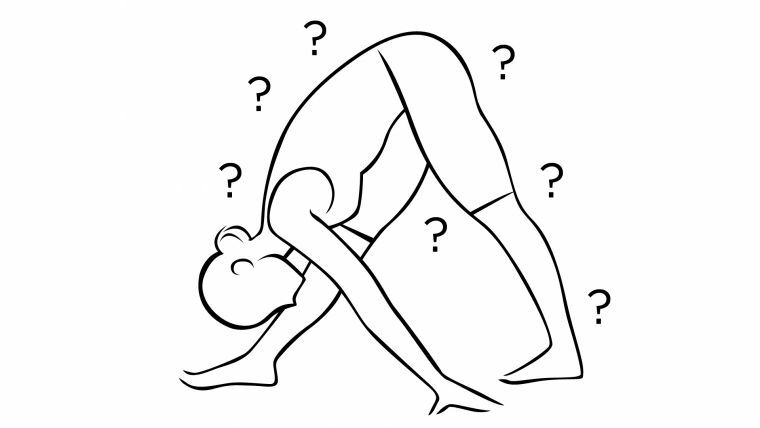 A functional approach to yoga requires both that we have an intention for each posture (areas where we are trying to create specific stresses), and that we pay attention (noticing the quality of the sensations being created by the stresses) so that we can wisely decide whether to stay at an edge, go deeper, or back off. If a student in unable to differentiate the qualities and intensities of the sensations, she is liable to either go too deep or not deep enough. To develop this ability to attend, the student needs to be guided and taught what to look for, and how to differentiate subtle qualities that may be arising. A great gift is waiting for the student whose teacher can help her understand the intention of each pose and how to pay attention to see if she is obtaining the desired sensations. Yoga, like all forms of exercise, involves both stress and rest—but stress has a negative reputation: It sounds dangerous, degenerative, and depleting. This is a great misunderstanding: Stress is necessary for health. All tissues need stress to regain and remain healthy; otherwise they become fragile. There are two broad categories of sensation that arise in physical postural practice: sensations of tension and sensations of compression. These fall along a spectrum, and there are clues that can help us differentiate between them—such as noticing what sensations you are feeling and where you are feeling them. Tension is a feeling of resistance inside the tissues, a resistance to being stretched. These sensations can arise in many areas and in many ways. 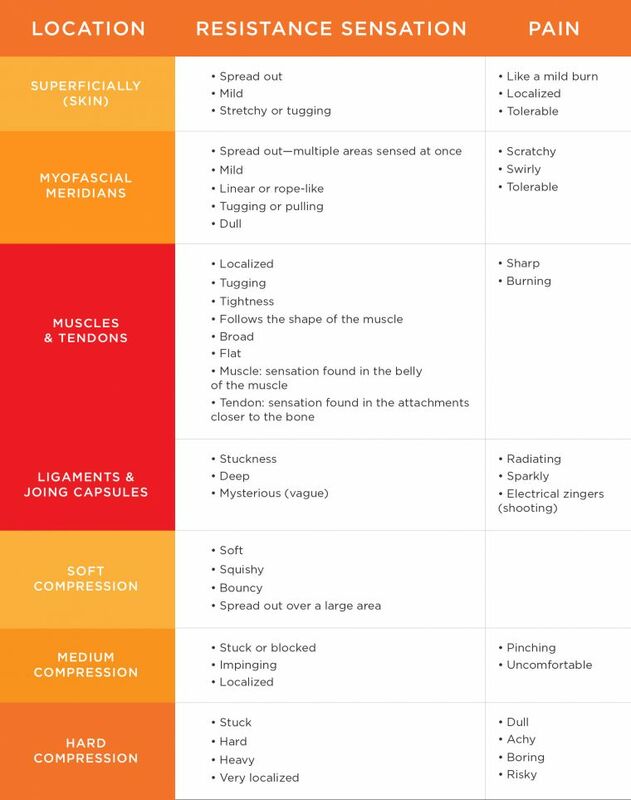 Table 1 shows how the sensations of tension may manifest in the skin, our fascia, the muscles and tendons, and even in the joint capsules and ligaments. Often, these sensations are spread out. Compression occurs when areas of the body come into contact with each other: This is where no further progress is possible—for that posture, in that direction. 1 There are three main kinds of compression: “soft” compression, when flesh is squished into other flesh; “medium,” when flesh is pinched between bones; and “hard” compression, when bone is pressing into bone. These feelings are often concentrated in one small area. When compression has been reached, there will still be some sensation of tension. To remove all the sensations of tension, we would have to stretch out the area where the tension arises. But by definition, once you have reached compression, you cannot go any further—so whatever tension is still there will remain. This means that while you may be stopped due to compression, there will also be some residual feelings of tension. However, when you are stopped solely due to tension, there generally is little or no sensation of compression yet. 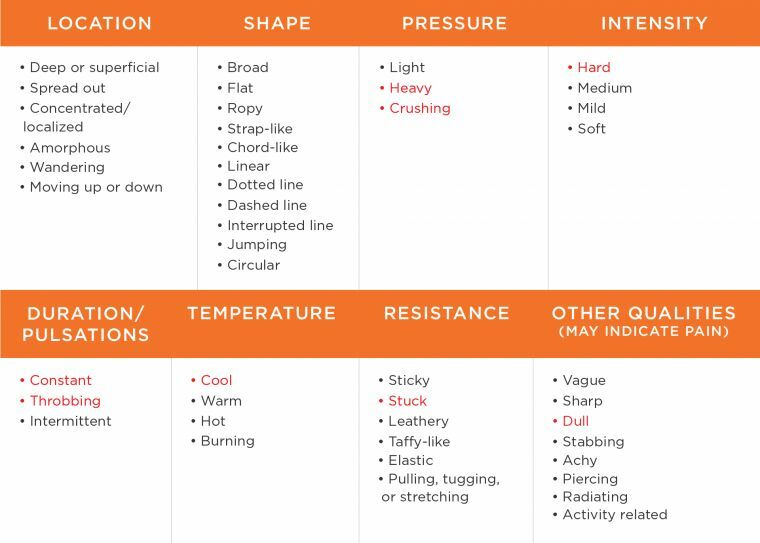 The qualities of sensations created by compression are also noted in Table 1. This is not a definitive list, as everyone is different. Use it as a guideline that you can adopt and adapt to determine what sensations arise when you reach your edge in a posture. Most beginning yoga students have no idea what sensations are arising. For them, it is useful to have an idea of what to look for, which helps them sharpen their perception and build a vocabulary. Table 2 offers several adjectives that teachers can use to guide the student. It may be helpful as well to have them trace the sensations while in a pose: Use fingertips to outline where the sensation is, and then lightly draw on top of it. While everyone's experience is unique, sensations shown in red in the table are more typical of compression than tension. Paul Grilley often points out that there are many Black Knights found in yoga classes: These are Monty Pythonesque warriors. When they are about to break their arms off in a deep, binding twist, they exclaim through gritted teeth, “I've had worse.” When the inevitable injury does occur, “It is but a scratch!” For these hardy yogis, pain is a sign that their practice is about to bear fruit! At the other end of the spectrum are the timid souls for whom any sensation, no matter how slight, is a cause for pause, reflection, and concern. 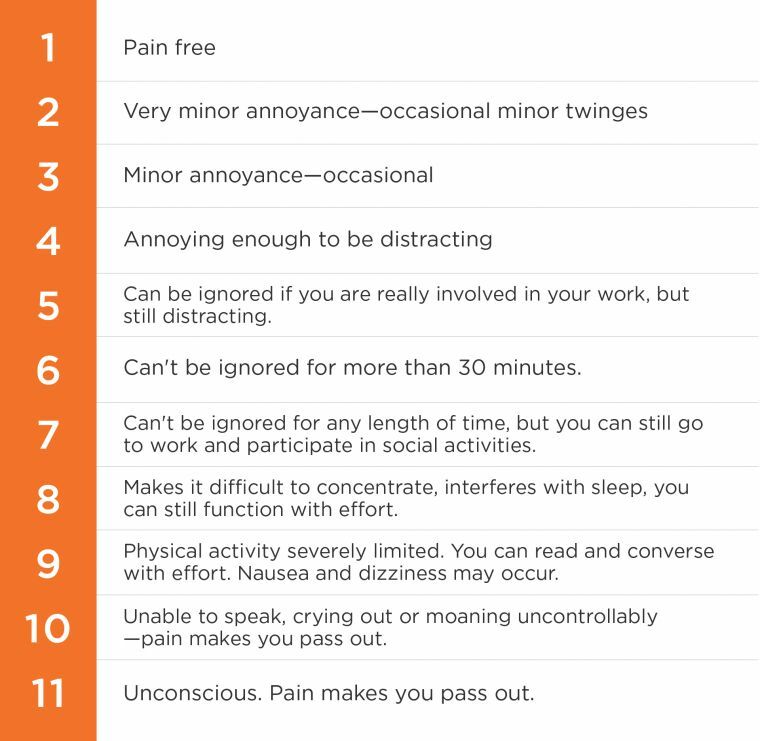 Pain can be quantified, as shown in the Mankoski pain scale of Table 3. Any ranking above 3 is not healthy (keeping in mind that in our yoga practice, we are not trying to damage our tissues—we only want to stress them). Going above level 3 is not necessary (unless you are in the hands of a good therapist 3 ). Black Knights live by the adage of “No pain, no gain.” This is sometimes true in a therapeutic setting, but in a yoga class, a more appropriate mantra is “No pain, no pain.” If you experience one of the sensations listed in the pain column of Table 2, and if it presents as above level 3 on the pain chart of Table 3, it is wise to back away from that edge. 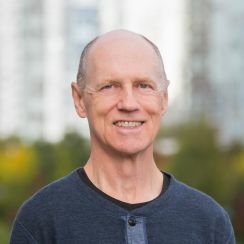 Neil Pearson has noticed in his work as a yoga teacher, physical therapist, and pain researcher that some people have two scales: a pain scale and a discomfort scale. 5 For these people, many sensations are not considered painful at all, but instead uncomfortable. In yoga, we do take people outside their comfort zone: We need to challenge them, and they should feel something. Only when the postures become really uncomfortable do they become painful. But even for these people, they need to practice with an intention (e.g., optimal health), as well as with attention (e.g., noticing sensations that are too much). It is valuable to pay attention to pain not only while you are in the pose, but also as you come out of the pose (and even over the next day or two). Delayed onset of pain may be due to things you did in your practice that were not healthy. Whenever you feel pain, it is worthwhile to investigate the cause. If you can correlate it to what you were doing in your yoga practice, you have the option to skillfully modify your practice. Our adage of “No pain, no pain” is lovely as far as it goes. But for some people, unfortunately, just living is painful. Sufferers of chronic pain can do yoga, but for these folks everything involves pain at some level. For some, a temporary injury may have sensitized them so much that, after they have fully healed, normal, benign stresses are perceived as painful. In these situations, our normal rules of thumb fly out the window. How do these students determine what is too much? Usually, people suffering chronic pain have seen several therapists, doctors, or other healthcare professionals. They will have been given guidance and advice on what to do or not do, and yoga teachers should not be recommending that any student ignore these directions. In cases where chronic pain occurs that is not caused by tissue damage, a therapist may be able to help desensitize the area experiencing pain. The therapist will explain how movement is necessary in these situations even when pain is present. While doing yoga, these students can benefit from paying attention and practicing with intention. Remember one of our primary understandings: To create health we need to stress our tissues. If everything hurts, obviously adding even a little stress will increase pain, but in these situations this added pain may be necessary. Students in chronic pain are already aware of their bodies, but they may have learned to run away from the pain rather than investigate it. A yoga therapist, experienced with working with students suffering from chronic pain, may help the student pay closer attention to the sensations of the postures to differentiate between sensation and pain, and to investigate what is actually happening (rather that what the student is afraid is happening). With a regular yoga practice, sensations may begin to ebb and the chronic pain diminish. Both the quality and the quantity of the pain may change for the better: We want the student to be aware of these changes, and she can only do that by paying attention. By noticing what works, and what doesn't, a path forward becomes clearer. The pain may never go away completely, but through her yoga practice the student may become better able to cope with the pain and become more functional in her daily life. Yoga involves sensations, but not all sensations are created equal. The quality, quantity, and location of the sensations help to determine whether they are healing or harming. A sharp, burning sensation deep in the knee joint is never good, while a long, stretchy tugging along the thigh can be delicious. Electrical zingers and tingling: not good. A dull, deep, compressive stress may be quite healthy, while a deep, boring pain in the bones is never good. Many styles of yoga take us outside our comfort zone, but this doesn't mean we have to be so uncomfortable that we cannot stay in the posture, that we can't breathe freely, or that we can't release tensions in the areas of the body not involved in the posture. Discomfort does not automatically mean we are in pain, but real pain is generally a sign that we are about to damage our bodies. Listen to the body's signals: Pay attention. Have an intention for your practice, such as regaining or maintaining optimal health. By combining attention with intention, it is possible to decide whether the sensations arising in your yoga practice are healthy or not. And if not, why not change what you are doing? This material is adapted and expanded from the second chapter of Bernie Clark’s Your Body, Your Yoga. 1) Sometimes it may be possible to go around a point of compression by slightly modifying the posture, by using a prop, or by using a different posture. But eventually we come up against a new point of compression that ultimately stops us. At some point we have taken the body as far as it can go in this lifetime. 2) In a Yin Yoga practice, dull and achy sensations often arise that are not an indication of trauma to the tissues. They are often to be expected when a long-held traction is applied. However, if these sensations arise in short-held hatha postures, that may not be a good sign. 3) Pain does have a place in physiotherapy, and in the enlightened hands of a qualified therapist pain can be a useful tool, to dissolve scar tissue, for example, or to recover lost range of motion. But most yoga teachers are not trained physiotherapists, and a yoga class is not the venue for offering personalized therapy. 4) Mankoski Pain Scale ©Copyright 1995, 1996, 1997, 2000 by Andrea Mankoski. There are a variety of pain scales available, and not all agree in their specifications. For a different version, check out the Michigan Pain Measurement Scale.